By sevvy November 28, 2017	 problem solved? 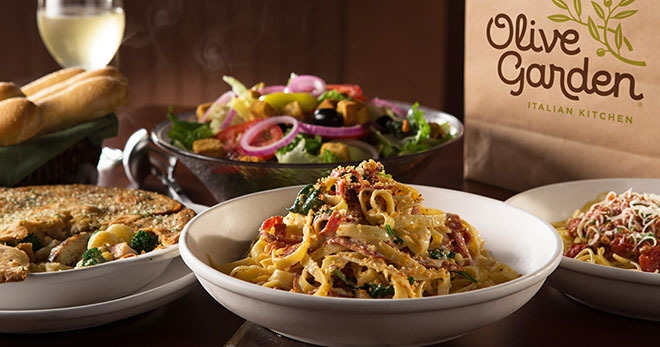 ORLANDO, Fla. --- Olive Garden is offering a pre-pay arrangement valid at any of its locations for Adventists that would like to dine between Friday and Saturday sundown. The move will allow Adventists to avoid the exchange of cash and still be able to enjoy unlimited bread sticks at their favorite pseudo-Italian joint on Sabbath. The restaurant chain released a statement inviting Adventists to set up a pre-paid Sabbath meal account that would work "just like a meal plan at an Adventist college." The costs of the meal will simply be deducted from the pre-established fund making it easy to never to have to pay for another Olive Garden meal after church. In the rare event that diners exceed the amount in their Sabbath account, they will be directed to the kitchen where they can do "voluntary potluck-style cleanup" to work off their debt. I love Olive Garden. The soup & salad is great. What a way to be a vegetarian and to witness to all the non-Sabbatarians at OG. I’m signing up this Friday before sundown (about 4:30pm). Bless your souls-OG! By the way, is using a gift card the same as prepaying on Friday before sunset? Humour aside, on a totally serious note, I have always regarded this as utter hypocrisy in our Adventist circles. A transaction involving credits/debits on an existing account (via electronic or paper-based action) is still just as much a business transaction as an exchange of money or a direct “plastic payment” would be. True. Plus, the 4th Commandment primarily prohibits working on the Sabbath, including causing others (manservant, maidservant, oxen, and even strangers) to work. Eating out on the Sabbath inherently causes strangers to work for you. I RATHER DO DELAY PAY WITH A POST DATED CHECK OR NO PAY AT ALL.